The song appears on the track listing for new album The Magic Whip. Blur have unveiled new track There Are Too Many Of Us. 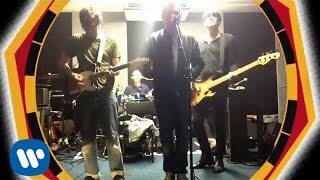 The song features on new album The Magic Whip. You can watch the video for There Are Too Many Of Us above. The track is available for download on iTunes now. New album The Magic Whip is released on April 27th. The lead track Go Out is already available. As well as playing Hyde Park and Benicassim Festival this summer, the band will also play an intimate show tonight at a secret West London venue. You can see the tracklisting for The Magic Whip below.